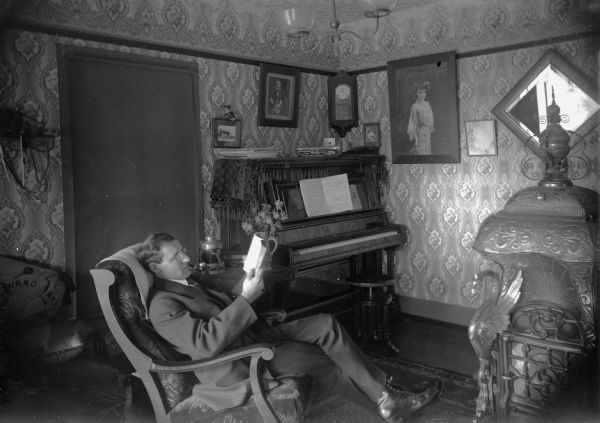 Otto G. Ansorge sits in his home on Lake Avenue and reads. Ansorge was a jeweler and band director in Winneconne. The image appeared in the February section of the 1990 Wisconsin Historical Calendar.